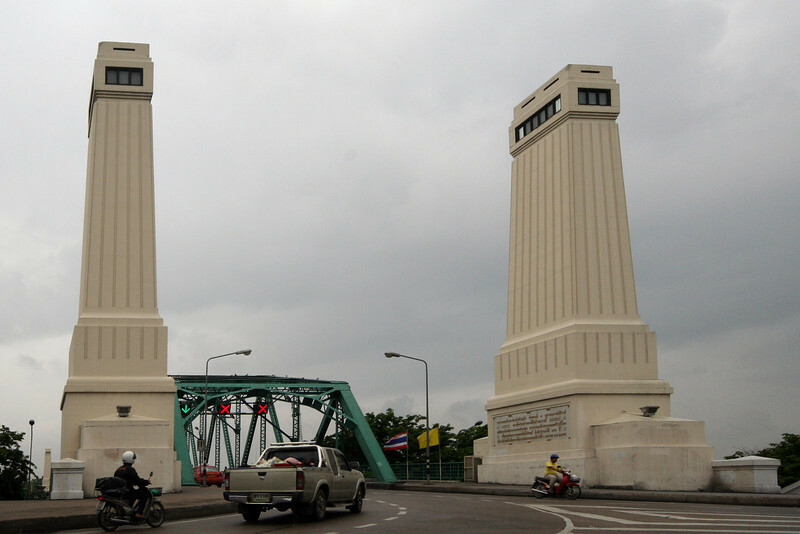 Northern pylons of the Phra Phutta Yodfa Bridge (aka Memorial Bridge), Bangkok. The structure was opened in April 1932 to commemorate the 150th anniversary of the establishment of Thailand's reigning Chakri dynasty. It was constructed by British firm Dorman Long, who were also the builders of the Sydney Harbour Bridge.